Renetta Tull, UMBC’s associate vice provost for strategic initiatives, and professor of practice in College of Engineering and Information Technology, is known worldwide for her leadership in increasing diversity in STEM disciplines. She does this through a powerful combination of advocacy work at state, national, and international levels, and providing intensive support to students pursuing doctoral degrees. After 16 transformative years at UMBC, Tull will soon begin a new role in the University of California, Davis, as vice chancellor for diversity, equity and inclusion. In addition to her work at UMBC, Tull has more broadly served as director for graduate and professional pipeline development at the University System of Maryland (USM). Under the theme “Think Big Diversity,” Tull has led several successful initiatives to boost diversity in STEM fields by supporting the professional development of undergraduate and graduate students, postdoctoral scholars, and faculty at institutions across the System. 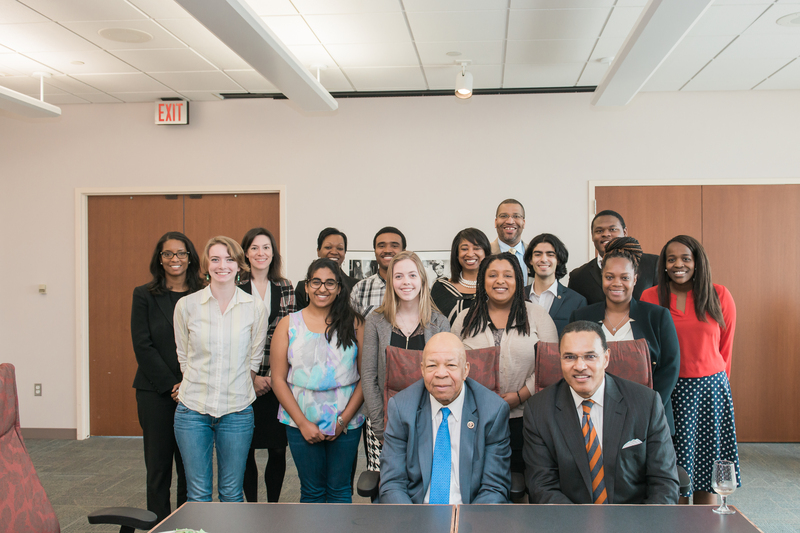 Renetta Tull joins UMBC students and President Freeman Hrabowski during an on-campus meeting with Congressman Elijah Cummings. Photo by Marlayna Demond ’11 for UMBC. 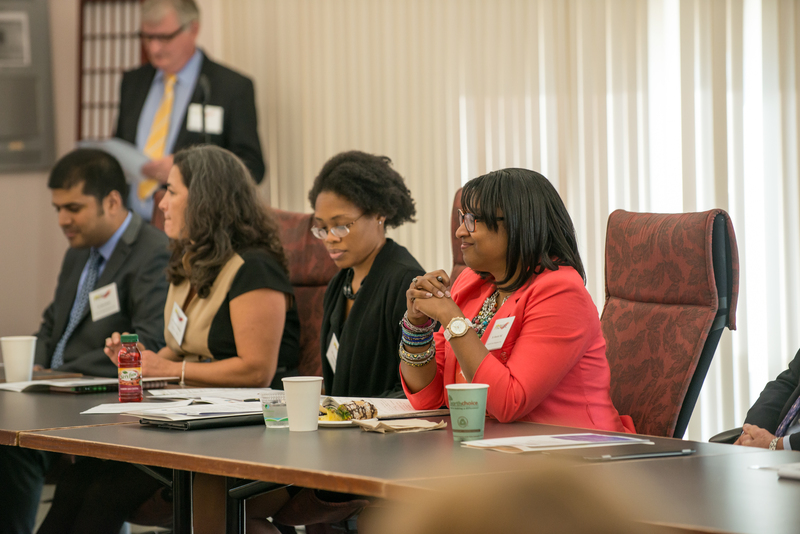 Tull’s “Think Big Diversity” work includes major initiatives like the PROMISE Alliances for Graduate Education and Professoriate (AGEP), PROMISE Academy, Dissertation House, Louis Stokes Alliance for Minority Participation (LSAMP), and the PROMISE Engineering Institute. Tull served as the founding director of USM’s PROMISE AGEP program. Supported by the National Science Foundation, this program focuses on increasing enrollment, retention, and graduation rates of underrepresented minority students in STEM fields, to support them on the path to academic careers. The system-wide effort also supports research related to the experiences of students, to better understand how those experiences impact graduate degree attainment. In particular, Tull focuses on the important role of providing mentoring and a community of mutual support for graduate students. The Dissertation House is one component of PROMISE AGEP that has been shown to effectively increase Ph.D. degree completion among candidates from underrepresented groups. This approach combines one-on-one dissertation coaching and intensive advising with multi-day retreats where students set goals and participate in conversation on topics like time management, avoiding burnout, and honing public speaking skills. 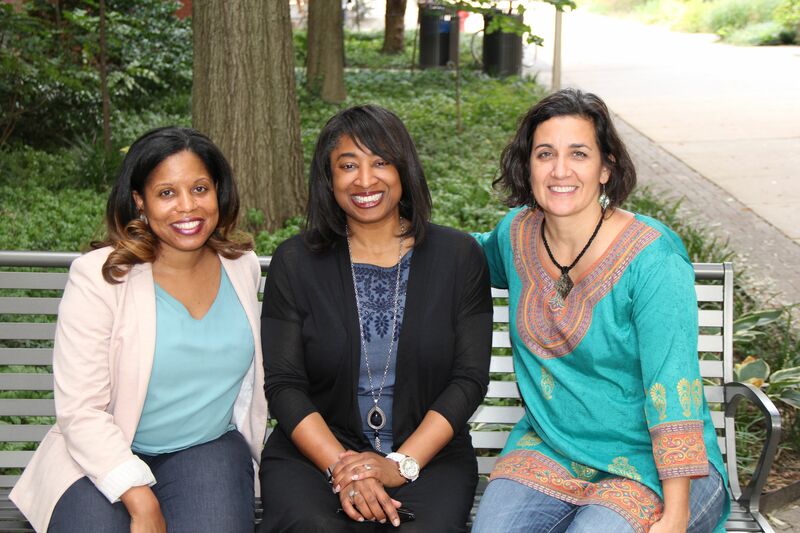 “We’ve learned that providing time, space, support, and community is a winning combination for working on a milestone such as the doctoral dissertation,” Tull has shared. Renetta Tull, center, with Frances Carter-Johnson, M.S. ’07, physics, Ph.D. ’11, public policy, and Patricia Ordóñez, M.S. ’10, computer science, Ph.D. ’12, computer science. Photo courtesy of Tull. PROMISE AGEP has also continued to grow over time, to benefit greater numbers of students in new ways. In 2018, UMBC and other USM institutions received funding from NSF to develop the PROMISE Academy to support faculty diversity in the biomedical sciences specifically. In addition to her work with graduate students, postdocs, and faculty, Tull also helped secure NSF grant funding for LSAMP, which helps prepare undergraduate students for graduate programs in STEM fields. The program focuses on four key areas: engaging students as they transition to the university, reinforcing their math knowledge to improve their math performance, helping them prepare for valuable research experiences, and providing opportunities for them to present their research publicly. Renetta Tull, right, participating on a panel at UMBC. Photo courtesy of Renetta Tull. UMBC’s Meyerhoff Scholars Program receives funding from NSF LSAMP grants. NSF also provided $5 million in additional funds in 2016 to expand LSAMP support to strengthen the alliance between universities and develop new programming targeting math performance. Banner image: Renetta Tull. Photo by Marlayna Demond ’11 for UMBC.